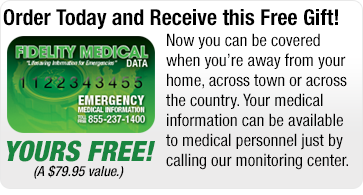 Does Your Loved One Need Emergency Response USA's Safety Monitoring? Answer the following questions to determine if an Emergency Response USA safety monitoring system is right for your loved one. Are you worried about your loved one falling and not being able to reach the phone? Are you worried about your loved one falling in the shower? Does your loved one have difficulty using steps or standing up? Does your loved one have any one of these medical conditions: heart condition, diabetes, Chronic Obstructive Pulmonary Disease (COPD), osteoporosis, arthritis? Does your loved one have poor vision and find it easier to simply press a button than use a standard telephone? Does your loved one use a cane for balance or walking? Are you worried about your loved one when he or she is home alone? 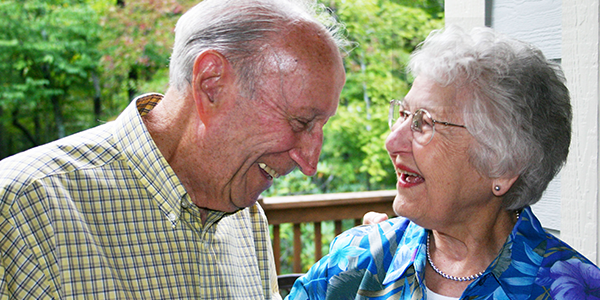 Is it important for your loved one to continue living independently? Count your "Yes" answers to see if your loved one needs an Emergency Response USA system. Your loved one's health and living situation don't require a safety monitoring system, but it can provide peace of mind against the unexpected. Your loved one is at risk for a fall or other incident. A safety monitoring system helps ensure that aid can get to them quickly. Several factors put your loved one at fairly high risk of a fall or other incident. To maintain their independence, a safety monitoring system is highly recommended. Your loved one is at very high risk of an incident requiring medical attention. A safety monitoring system is strongly advised.